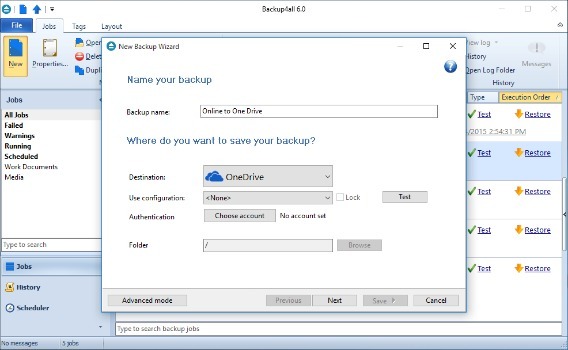 The award-winning data backup software – Backup4all Lite 6 is designed for Windows operating system on both beginners and professionals that can protect your valuable data from partial or total loss by automating backup tasks, password protecting and compressing into user selectsave storage space. The BBackup4all software comes with easy to use interface with intuitive features. 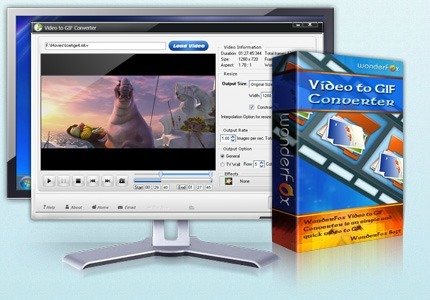 With Backup4all Lite 6, user able to backup all personall or important files from PC to multiple destinations such as removable media like DVD, CD, Blu-ray, HD-DVD, USB drives, and other. In addition, the software also allows user backup to network destinations including mapped network drives. iCare Data Recovery is an advanced utilities software that provide backup, recover, or restore lost data and files. iCare Data Recovery able to recover files from formatted drives, deleted partition, software crash, and infection files. It also can recover deleted files such as photos, documents, mp3, outlook file, office, hard drive, removable hard drive, SD card, Pendrive, and etc. Besides that, it also can reover formatted hard drive, MBR (Mast Boot Record) corrupted, bad boot sector, drive inaccessible, partition unreadable, partition deleted, software operation failure, and etc. iCare Data Recovery comes with 3 scan main modes – Deleted Recovery Program which can recover deleted files from emptied recycle bin, Deep Scan recovery is an advanced recovery mode for any data missing such as reformat, raw drive, and etc., Lost Partition recovery that useful for recovery files from deleted partition or partition error no detect by operating system. With iCare Data Recovery, user can simply recover files in few steps, first select the recovery type, then select the drive or files that wish to be searched, and then let software proceed scan. Once scan completed, it will list all files that can be recovered. Click on recover and next to confirm for process recover files. An advance backup and recovery software company Paragon Software Group announced the release of its latest version Paragon Backup & Recovery 16. 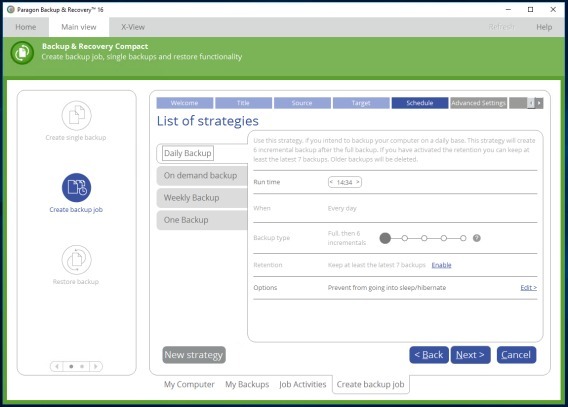 Paragon Backup & Recovery 16 comes with unique user interface and contains comprehensive backup and disk management features such as Backup Job Wizard that helps create and automate backup tasks, Pre-defined backup strategies for daily backup, weekly backup, on demand backup, Single Backup Wizard that can simplified wizard for “one-shot” or single time backups, and etc. In addition, Paragon Backup & Recovery 16 also included the brand new disk imaging technology that allows back up directly to virtual containers (pVHD, VHD, VMDK), complete support of GPT/uEFI configurations, Windows BitLocker and the latest Windows 10. 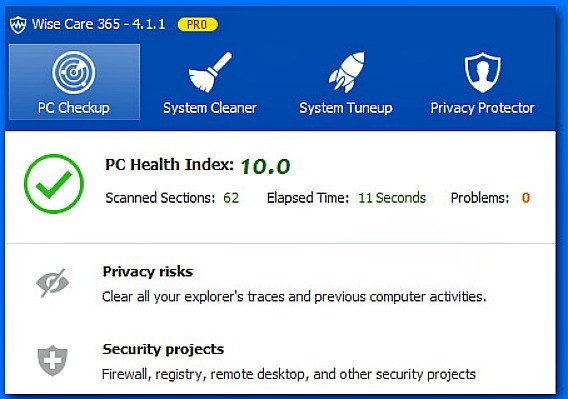 Wise Care 365 PRO is an utility software for PC cleaning and speed up system performance which included multiple privacy protector, disk cleaner, system cleaner, system tune-up, and other system utilities that features to manage, clean registry and junk files, and protect PC. With Wise Care 365 PRO, it provide better option of optimizing and accelerating PC to keep PC at peak performance.